Are you an agent looking for a new opportunity? Higher commissions and incentives? Higher quality lead programs? 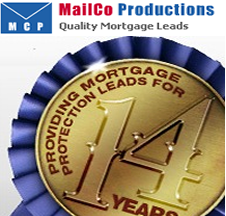 Over the years, we have developed strong relationships with many premier marketing organizations. We hear about the constant challenge they face in recruiting a good, solid agent. Let MailCo Referral Services help get you together. By using our referral network, you can confidentially take advantage of our large pool of resources. Our program is designed to allow you to privately request information about opportunities available. Agents are often surprised and pleased by the offers they receive, and marketing organizations are pleased to have a quality pool of producers to recruit* from. Would you like to find out what your license is really worth? It’s easy and confidential. Fill out our agent referral form today! *MailCo will not knowingly refer our current customer producers to another marketing organization. All recruitment, negotiations and contracts are handled directly with the marketing organizations not through MailCo Productions, Inc. or its subsidiaries. Do you have a laptop computer? Are you looking for part-time career? Do you want to set your own flexible hours? Possibly work from home? Then this opportunity may be just for you. MailCo’s research division independently contracts individuals to collect data from courthouses throughout the country. As our company and business grows, we continue to look for qualified, assertive individuals interested in becoming independent courthouse researchers. Would you like to find out more about the opportunities available?